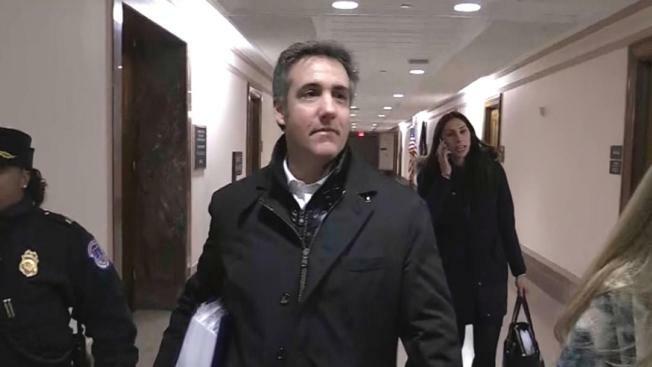 Lanny Davis, an attorney for Cohen, called Gaetz's now-deleted tweet a "new low"
Rep. Matt Gaetz, R-Fla., apologized late Tuesday for a tweet that appeared to threaten to release unsavory allegations about President Trump's former fixer, Michael Cohen, as the onetime attorney prepared to testify publicly before Congress. Gaetz was responding to a tweet from House Speaker Nancy Pelosi, D-California that said, "Comments made on social media or in the press can adversely affect the ability of House Committees to obtain the truthful and complete information." "It was NOT my intent to threaten, as some believe I did," the congressman wrote on Twitter. "I’m deleting the tweet & I should have chosen words that better showed my intent. I’m sorry." Gaetz had said on Twitter Tuesday, without offering evidence: "Hey @MichaelCohen212 - Do your wife & father-in-law know about your girlfriends? Maybe tonight would be a good time for that chat. I wonder if she'll remain faithful when you're in prison. She's about to learn a lot..."
Lanny Davis, an attorney for Cohen, called Gaetz's now-deleted tweet a "new low."